The Black Female Cop and the Case of the Uncontrollable White Male. I am hoarding TV shows and while this makes me seem friendless, lazy and pathetic, it gives me great joy and even some deep frustrations, but mostly it gives me food for thought. So not that sad actually. When watching so many TV shows simultaneously you start seeing connections between them. Even when there is none. But that is a medical condition and not the subject of this rant. Lately TV shows combine police investigations with sci fi and/or supernatural threats. Most of them even turning to the fantastic when working cases. It is quite the trend! Multiple reality checks vs sci fi/fantasy. Badge vs evil, sort off. Wearing said badge is usually a very competent female Afro-American police officer. What most of them have in common; a white male bringing chaos into their world. Men who rely on their gut feeling, magic and even crime. From themselves, but mostly from others. Should I tread lightly now, you say? Being a white middle-aged middleclass woman. I will jump right in then. 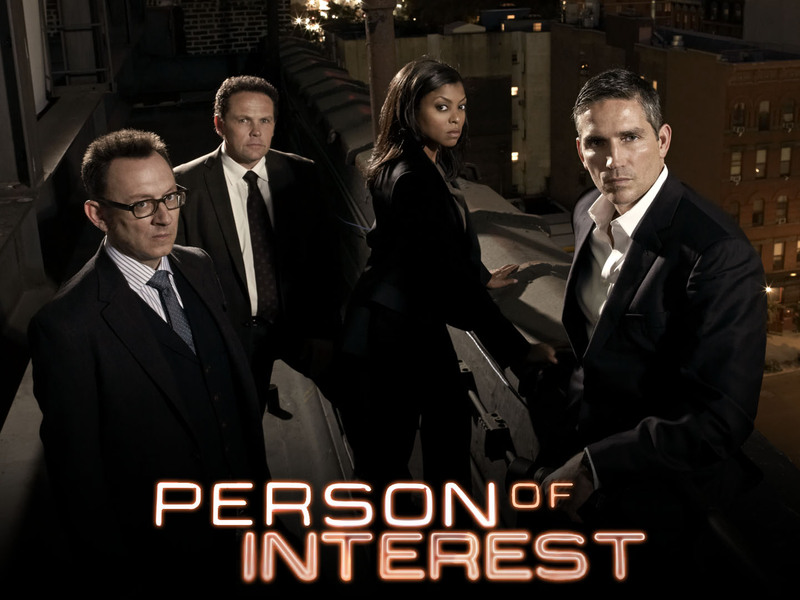 Firstly, worth mentioning when taking on this trope, is Detective Joss Carter (Taraji P. Henson) in CBS‘ Person of Interest (2011-), the show that least rely on supernatural stuff but is very much a science fiction mystery show. Detective Carter is a confident single mom and an excellent detective. She is in control of both her work and personal life; although you could say, she is somewhat boring. No romantic entanglements, no shady business, but manages to balance her work and family duties like a pro. Enter the ex-assassin John Reese (played by Jim Caviezel). Some would claim that Reese is not chaotic at all and right they are, he is a total neat freak but he is still a chaotic part of Carters life. First, he is a suspect then an ally, a partner and a friend. Somewhat stupidly he ends up being a unfulfilled romantic connection. All while he tries to do good by doing a little bit bad. Following along this path almost exactly is Fox’ show Minority Report (2015-) based on the movie from 2002 with the same name. Megan Good plays Detective Lara Vega, solving murders 10 years after the Precrime ended. She is a remarkable and very capable detective. Never needed any help doing her job before. She even manages to handle her ex being her boss. A half shy, half-autistic precog living in a milk jar for six years played by Stark Sands, who sees the crimes before they happen but has no clue whom the victim is or the guilty party. Dash desperately wants to help. In addition, hide from whoever is looking for him and the other precogs. To disrupt Vega’s life even more, his visions comes with an unsettling timing. And they spend equal time trying to cover up their workings from exes, police and powers to be. His criminal brother Arthur Watson (played by Nick Zano helps out, to keep the chaos rolling. 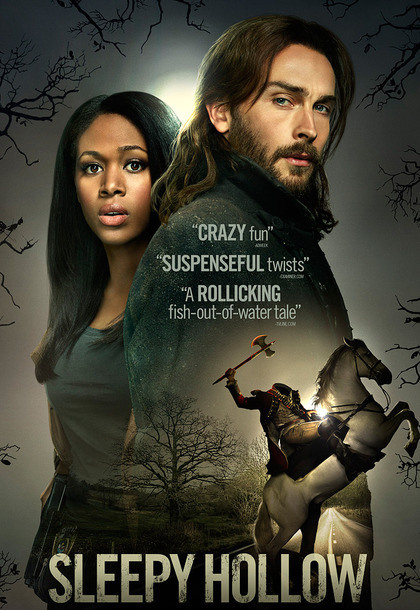 1780’s Ichabod Crane (by Tom Mison) stirs up trouble (first) in 2013 (and ongoing) for police Lt. Abbie Mills (Nichole Baherie) in Fox’ Sleepy Hollow. To be fair, she was already gifted/cursed as a Witness as a child but this has never been a problem in her adulthood. She does have a crazy and criminal sister who did not handle what had happened to them that well. Like all the others, Mills is very capable, on her way to become FBI but a couple of resurrections, one headless horseman and an evil witchy wife later, her life is in shambles. I say she handles it all very well. Also worth mentioning, although only support cast member, is the lovely but disgraced State Trooper Amanda Fisher (Jill Marie Jones) in Starz‘ Ash vs Evil Dead (2015-) hit TV show. We know Ash (Bruce Campbell) from the previous comedy horror movies to be cheesy, resourceful and unlucky. And Fisher needs to get to him before anything more evil happens. She is however not immune to his charms. With fatal consequences. Disruptive white men have not only been a black woman’s problem. White women have also had their share of uncontrollable white male partners. FBI Special Agent Olivia Dunham (played by Anna Torv) in Fox’ Fringe (2008-2013) collaborates with criminal Peter Bishop (by Joshua Jackson) and his crazy father, Dr. Walter Bishop (by John Noble). US Secret Service Agent Myka Bering (Joanne Kelly) in Syfy’s Warehouse 13 (2009-2014) is a by-the-book agent. She has an eidetic memory and is all about details. A rising star that suddenly finds herself stuck with the recovering alcoholic and rule bender agent Pete Lattimer (Eddie McClintock) with a knack for vibes. In the new CBS show Limitless (2015-) based on the movie Limitless (2011) Agent Rebecca Harris (Jennifer Carpenter) has her share of trouble containing Brian Finch (Jake McDorman). Finally, but not forgetting Agent Dana Scully (Gillian Anderson). 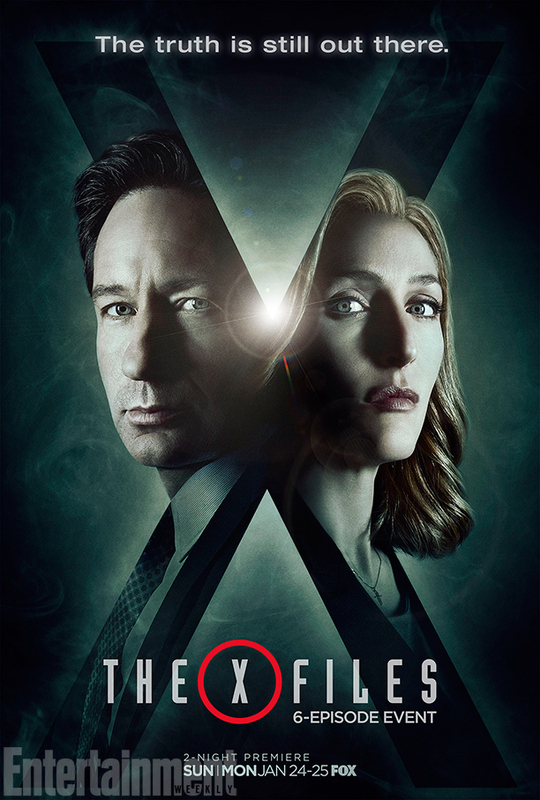 She iconized the trope in The X-files (originally aired 1993-2002, new mini-series in 2016), keeping control on Fox Mulder (David Duchovny) was a full time job. It is also one of the most anticipated new season of a sci fi show EVER. And the first episode delievers. Especially when it comes to Mulder’s usual lift off and Scully carefully bringing him down and back to reality. I am still amazed how fucked up their communication is, and yet we still watch it. Mulder never explains anything, but rambles on about THIS thing (never pronouncing what the specific this IS) being the most important bit about IT (?) and that they have to whistleblow it. Scully always shutting him down but never makes him actually explain it. She never asks why or what he is talking about. Either she is a Mulder mind reader or she does not care at all. Watch trailer for the new mini-series underneath.